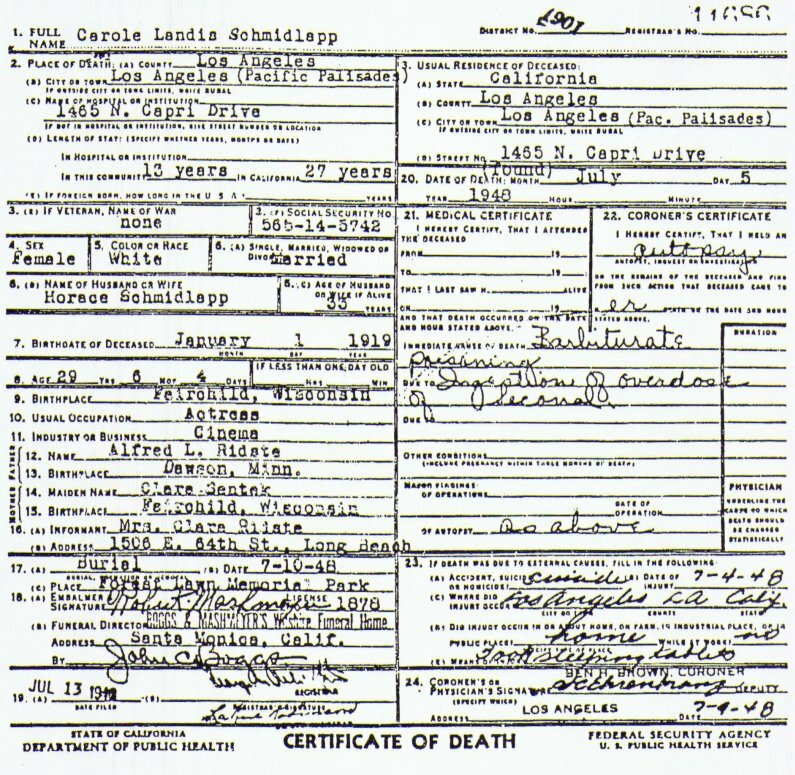 Carole was found dead in her home on July 5, 1948. 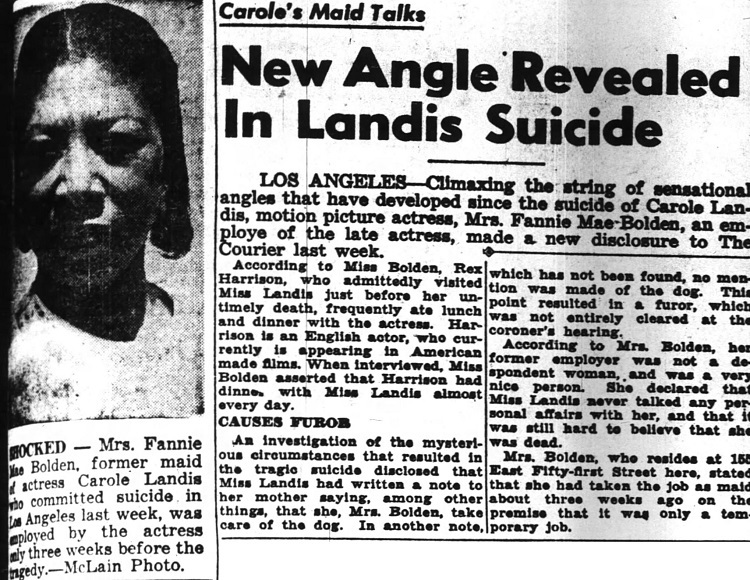 The police immediately believed that she had committed suicide. 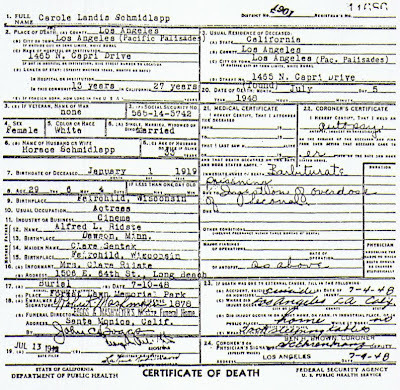 That evening her body was taken to Boggs and Mashmeyers funeral home in Santa Monica where Dr. Irving Madoff performed an autopsy. Dr. Madoff said their was no sign of foul play and that her cause of death was "barbiturate poisoning due to ingestion of overdose of Secanol". 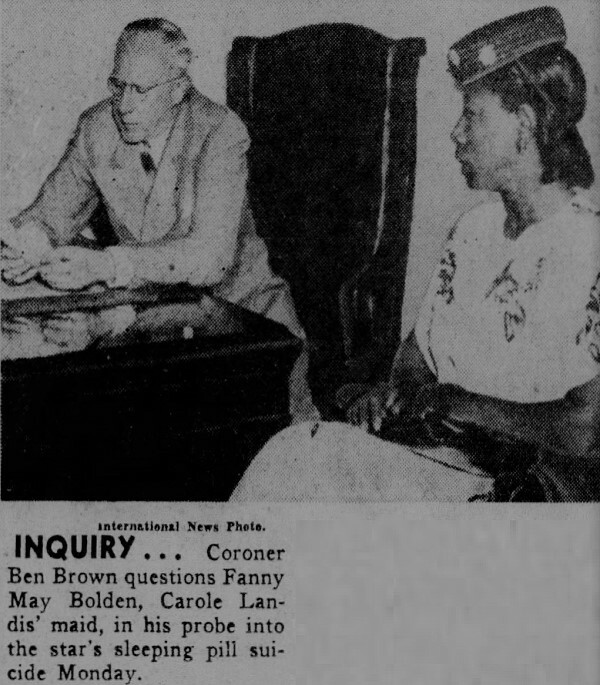 On July 8 Coroner Ben Brown held an informal inquest to find out what the motive was for her suicide. 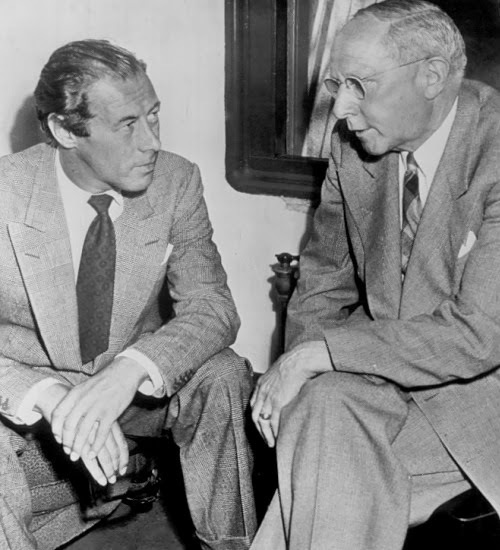 Carole's married lover Rex Harrison arrived at the hearing with his boss Darryl F. Zanuck. He denied being romantically involved with Carole. 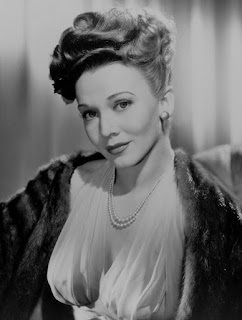 When Rex was asked why she had killed herself he said: "I'm sorry, but I can't give you any explanation for it at all. We talked about scripts of a new play I had and the possibilities of her playing in it. We also discussed her project of returning to England. I told her I might be able to help. Her death was a great tragedy. She was a fine actress - and a wonderful woman." Rex also claimed that Carole was having financial problems and that she was suffering from health problems. 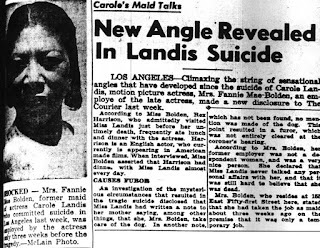 Carole's maid Fannie Mae Bolden told the coroner that Rex had dinner at the house every day that week and that Carole was in a very happy mood before her death. According to Fannie's version of events Rex arrived at the house on the afternoon of July 5 and immediately told her "I think she's dead". Then they both went upstairs and found Carole's body on the bathroom floor. Rex put his hand on her arm and said "I feel a little life" and then left the house. Fannie also said she saw a second note in the house. 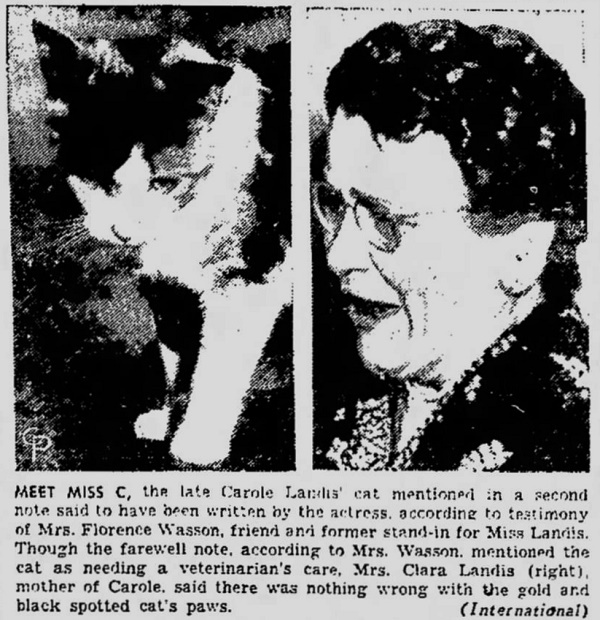 Carole's close friend Florence Wasson testified that she saw the second note too. She said the note was about the cat, Miss C, being sick and needing to go to the vet. 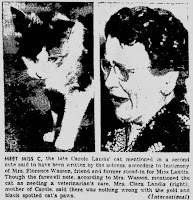 However Carole's mother, Clara Ridste, said there was nothing wrong with the cat. The second note had mysteriously disappeared from the house on July 5. 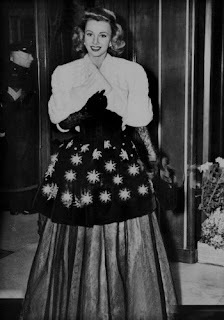 Years later Lilli Palmer, Rex Harrison's wife, admitted that the second note was a lovers farewell and that she had paid a police officer $500 to destroy it. Some people believe that Florence Wasson lied about the note because her husband, Lou Wasson, was close friends with Rex Harrison. 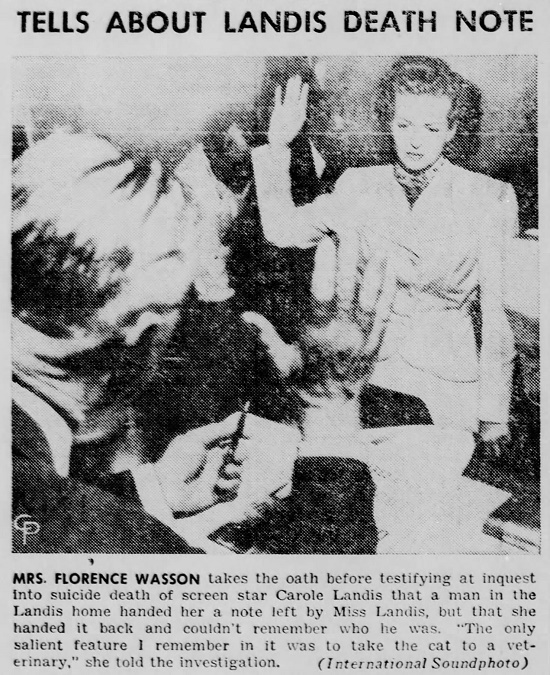 When the hearing was over Carole's death was officially ruled a suicide. 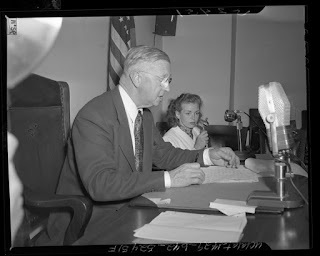 Coroner Brown told the press "I've gone as far as I can. I have gone to the limits of my authority. The testimony itself revealed no criminal action, and I cannot go further". The Los Angeles county grand jury wanted the District attorney to investigate the case more. 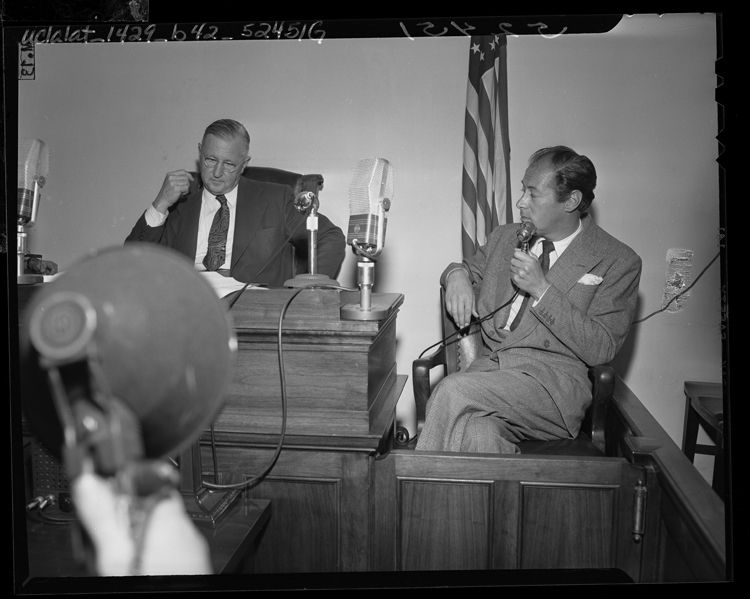 One of the jurors, Leo Hubbel, said he was dissatisfied with the some of the angles of the case. Carole's family also wanted a grand jury investigation. 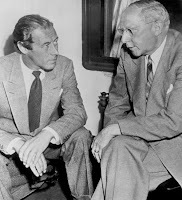 They did not believe that she had committed suicide and they were convinced that Rex Harrison was lying about what happened. Clara Ridste said "If my daughter wrote a note to anyone it should be produced." She also claimed that were other things missing from Carole's home. Unfortunately the District Attorney decided to close the case and there was no further investigation.